In this highly competitive world of E-commerce, the demand for the shopping cart solutions has risen dramatically in recent years. It’s no denying that more and more businesses are plunging into the digital waters of E-commerce and online shopping solutions. The demand for the best shopping cart solutions has multiplied tenfold. Shopify is one of the most popular E-commerce shopping cart solutions that allows you to set up your own online store.In this article we will discuss the benefits of using this popular platform and give you 10 more alternatives to Shopify. This way, you can better know which is the shopping platform to use to get the most out of your online business. It is a platform where you can upload the products for your store, customize your storefront, monitor orders, and accept credit card payments. In just a few clicks, you can easily set up and run your own E-commerce store. 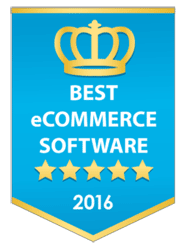 Last 2016, Shopify ranked in the Best e-commerce Software Award. More than 380,000 merchants worldwide make use of Shopify. Setting it all up is fast and easy. All you have to do is enter a few details about your business. Then choose a professional theme from a myriad of theme options. Set up your payment and shipping options and you're good to go. Before you know it you will have an online store with the style and professionalism it needs to attract customers. Choice or free and paid responsive store layouts. A wide selection of paid and free apps the extend the function of your store. No maintenance and other software updates since Shopify hosts your store exclusively. Catalog import is fast and easy. Abandoned carts, they can be automatically recovered. Payment gateways for almost every country. Shopify has 3 standard options plus a lightweight option and an enterprise version. If you want to give it a try, you can sign up for a free 14-day trial period. After the trial period expires, you can choose the pricing plan that suits your needs best. Shopify has some great features to make the payment process smooth and secure. Just a few of the many features available. Shopify is generally great, but it’s not the only shopping cart solution out there. Here I will list 10 alternatives to shopify which will serve you well if you decide shopify is not for you. Okay let's get to the top 10 shopify alternatives. Big-Commerce is another forerunner in the e-commerce space. Its key features make it a worthy alternative to Shopify. In fact, over 40,000 small to medium-sized online retailers use BigCommerce. All the necessary tools you need to make and run your online store is also here. There's a vast array of customizable templates to help start your own designs and bring style to your brand. Whether it’s physical or digital goods, you can rely on Bigcommerce to bring your products in front of your target market. With its marketing features, you can effectively boost your brand awareness campaign and get the kind of traction you need in no time. Its top features include product catalog, payment gateway, domain name, secure shopping cart, and an efficient website builder. What makes BigCommerce better than Shopify? Users can establish an e-commerce shop which bears their own brand better and use the complete features of the system to rake in leads and, eventually, sales. It has more responsive theme options (either free and premium) and other which are exclusively designed to cover mobile customers. Add your products and services conveniently and customize every item using high-resolution pictures (with zoom). Ultimately, you can enhance the checkout of your shop using efficient checkout procedures that BigCommerce offers exclusively. What makes Shopify better than Bigcommerce? Shopify has 24/7 customer support. Shopify can be easily accessed on mobile screens. It has effective analytics features to highlight actionable insights. You can freely use their web hosting for your online store. 3Dcart is packed with all standard features that an online shopping cart service has. It also does have its extras, like their affiliate marketing program, dropshipping support, and so on. Their price range ($9.99/mo. To $99.99/mo) is also competitive enough. Indeed, 3dcart is another worthwhile alternative to Shopify. 3DCart is a well-known shopping cart solution that helps companies of all shapes and sizes to establish their shop instantly. It has over 200 partners and third-party entities, such as tax calculators, payment solutions, shipping carriers, and so on. This way, you are guaranteed to get the most out of it. You also get e-commerce tools for store building, order management, and advertising. It provides over 100 mobile-friendly themes which can easily be installed and applied in just a matter of minutes. Users can update their shops easily to meet the modern mobile standards. 3Dcart users can easily access over 100 payment solutions that can help them expand their business locally and globally. What makes 3DCart better than Shopify? Many people prefer BigCommerce over Shopify for their effective platform for selling and marketing products. The app brings customers a simpler and smoother way to place their orders online. Vendors have control over their security, system, and interface. You can use any internet-connected device to access the inventory, invoices, pertinent data, and other system-related information and tools. Why use Shopify instead of 3dcart? Shopify's features are rather more advanced. You can freely use the website builder to make your own digital shop. The pricing packages are well-designed for small to large businesses. Phone and email support are more compelling with Shopify. This is another feature-packed platform that enables you to maximize their hosted service or independently host your site. Their basic platform is FREE of charge, and you just have to pay for the extra features for a fee. You can either host PrestaShop in the cloud or download & install it on own website host. Thousands of startup and established businesses across the globe use PrestaShop both because of its free basic plan and other extendable features. The platform has more than 800,000 users, and if you need help, these co-members will be more than happy to assist you to flourish this open source solution further. Its key features include its intuitive interface, robust store builder, designer guide, mobile commerce, and a wide range of customizable e-commerce themes. What makes PrestaShop better than Shopify? PrestaShop makes it easier to make online shops from scratch. It has comprehensive training materials that aid you in using the software solution more thoroughly. It has more extensive features to manage payments, product listing, manufacturers, and shipping. It can easily be integrated with any major business system. What makes Shopify better than PrestaShop? You can better brand and customize your e-commerce shop. You can get to have your own domain name. You a free SSL certificate to better the levels of your site security. Magento is another open source e-commerce solution created by eBay. It has a myriad of potent tools and offers optimum flexibility to help businesses control and configure their online stores better. As you may have expected, the platform is deeply integrated with eBay. Furthermore, the platform is a reputable entity with a proven and tested track record. Over 240,000 merchants from across the world actively use the platform. It’s indeed a great platform to attract visitors, convert visitors to buyers, and drive maximum revenue. Some of the extra features of Magento, that it takes pride in, are; Minimum advertised price, customer segmentation with targeted offerings, price and promotion permission, an enhanced catalogue, return management authorization, and content management system. It's a one-stop platform for a smooth e-commerce experience. Can Magento be a better alternative to Shopify? With Magento, you can take better control over every aspect of your store. Users can upgrade their online store with Magento’s enterprise-grade functionalities and features. Magento helps you expand and scale your business thoroughly. You can better use SEO or Search Engine Optimization to enhance your online presence with the leading search engines. What makes Shopify better than Magento? Shopify has a more comprehensive set of enticing features. Shopify has a built in blogging platform. You have a choice of over 100 professional themes. Jimdo is a highly recommended site builder. The app has a user-friendly interface which is used by more than 200 stores online since 2010. In just a few minutes. You can quickly begin setting up your shop and take orders from customers worldwide. Jimdo has a dynamic feature package which has made it a great choice for many startup entrepreneurs and small-scale businesses. Be it photo galleries, social media integration, mobile view, contact forms, and professional templates. Jimdo also pays attention to the detail to make itself a worthwhile leader in the vast world of e-commerce. You can use it for free or go for the monthly subscription option to get more advanced features. Pricing starts at $0 up to $15/mo billed annually. Is Jimdo a good Shopify Alternative? Jimdo’s app is more user-friendly and faster. You can easily use your mobile device to edit your site. Easier addition of images and text and a very user-friendly interface. Make use of SEO to boost rankings on search engine results pages. What makes Shopify better than Jimdo? It has a compelling and superior shopping cart features. Shopify offers a complete blogging platform. You can easily brand and customize your e-commerce shop. There are 70 payment gateways to choose from. Volusion is an online shopping application that’s made to scale as your business grows. It has an excellent design wizard and a clean, user-friendly interface. You will find it easy to create an online shop that’s super easy to manage. They have customization features that help you to brand your store according to your business style. Be it marketing or shipping tools, Volusion takes care of it all. 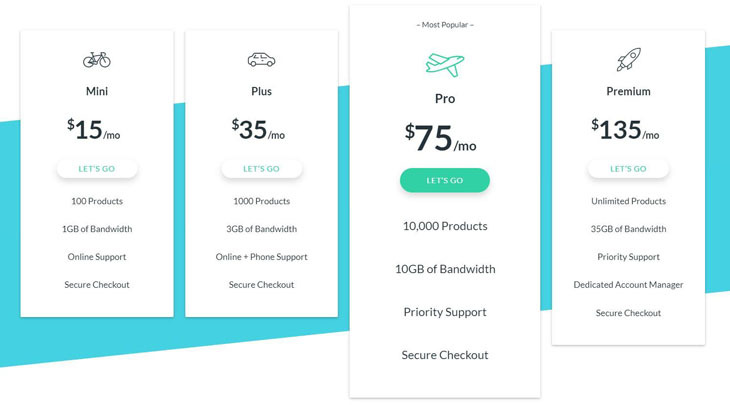 Pricing plans start at $15/mo. up to $135/mo. If you want to move to Volusion, you can readily transfer the data from your old store as long as your previous provider allows exporting data in a .csv file. If you go for their Plus plan or above, you’re free to import a large volume of data to your new Volusion shop. Is Volusion a better alternative for Shopify? Their intuitive design wizard can be used to make an online store in just minutes. Install beautiful templates without having to code or program stuff. They have features for order shipping, tracking, & inventory management. You get to have an exclusive account manager for support. What makes Shopify better than Volusion? Shopify’s basic plan is more affordable than that of Volusion’s. There’s a fraud analysis feature in order to bring an extra layer of protection to your precious online store. Make use of discount codes to give exciting discounts to customers. Shopsite is one of the Shopify alternatives that’s a viable option for both individuals and companies that have small inventories. This shopping cart application has an easy to use store wizard which makes it really simple for users to create their online shop. The setup is quick, and it integrates well with WordPress. You can host it anywhere, and it holds an arsenal of useful features, like advanced developer tools, catalog & business management, merchandising, store building, shopping cart, etc. From basic to advanced features, ShopSite is a good choice. You can go for the free plan, the monthly plan, or the one-time payment option. The monthly plan starts $5.99/mo. up to $59.99/mo. What makes ShopSite better than Shopify? It has a set of built-in features, like coupons, gift certificates, mobile commerce, Facebook stores, etc. You can place your order buttons on blog posts, affiliates, newsletters, emails, and many more. Use SEO tools in order to make your online store ranked higher by search engines. What makes Shopify better than ShopSite? The features of Shopify are somewhat more extensive. Shopify has more than 100 beautiful themes. No need to be troubled about maintenance and software updates since Shopify could just host your online store for you. The pricing packages of Shopify are better designed to fit all types of business-- from small to large. OpenCart is a free and open source solution designed using MySQL/PHP code. There’s no monthly, annual, or one-time payment. It’s totally free. It has a user-friendly and intuitive interface with a vast range of extensions. Indeed, it offers the necessary features for small and medium-sizes businesses. These features include free documentation, product reviews and ratings, unlimited manufacturers, categories, products, support, over 20 payment gateways, and more. You will require some website setup experience and you will need your own web host or server to install opencart. Alternatively you'll require the services of a developer. Opencart is preferred by a lot because it’s easy for development. Making changes to your OpenCart store is relatively straightforward. There are hundreds of modules and extensions available to improve your site. It also has many ready-to-use templates and is also generally SEO-friendly. What makes OpenCart a Shopify Alternative? The setup is real fast. The app can just be conveniently used even by the least techie folks. Users can just make use of one admin panel to monitor and manage more than one e-commerce shop. There are more than 8 shipping methods here. What makes Shopify better than OpenCart? You can make use of their web-based site builder to start your online store. Have your very own domain name. Choose from over 100 themes. The shipping rates are flexible. Many experts recommend LemonStand in helping start up businesses thrive. It fosters a hyper-customization setting that offers access to numerous website codes. This solution is pretty scalable for web developers and business owners needs. The key advantage of LemonStand is the way you could conveniently create beautiful online stores with their super simple interface. The company also offers unlimited product categories, unlimited tech support, RESTful API for smooth integrations, coupon code discounts, and no transaction fee. LemonStand has a free trial option, and after you’re satisfied with the free trial, you can go for the monthly subscription of $19 to $199 per month. What makes LemonStand a better alternative to Shopify? You don’t need to spend a lot of time figuring out what to do because the interface is really straightforward. You can get the feel and hang of it almost instantly. Their storefront themes are mobile-ready as well. The design flexibility is relatively unlimited. The checkout process can be customized, so the cart abandonment rates are reduced and the chances of conversions and sales are boosted. What makes Shopify better than LemonStand? The automatic carrier shipping fees are great. Accounts, profiles, and groups can be easily monitored. They offer a great support via email, phone, and tickets. The WooCommerce e-commerce tool kit is robust. It’s designed to convert any WordPress site into a compelling online store. Because of this, it's made using the best practices of WordPress both at the front end and the back end. Nearly everybody is familiar with how WordPress system works, and so the same sense of familiarity can be felt when using WooCommerce. The learning curve won’t be much of a problem. It has a trusty e-commerce plugin which offers enterprise-grade features and quality. If you want to develop a standalone online shop from scratch and sell products using your current WordPress site or blog, go for WooCommerce. This is a free solution, but if you want to grab some advanced features, you can go for a subscription or an upgrade. The fee varies depending on which kind of upgrade you require. What makes WooCommerce a better Shopify alternative? Users can freely customize this open source codebase. Its powerful and intuitive interface is simple to use. It offers many official extensions and add-on features. It offers ultimately flexible shipping destinations. What makes Shopify better than WooCommerce? Shopify has around 70 payment gateways. The shipping rates are fairly flexible. Its multilingual capability helps you tap the global market. Manage customer accounts, profiles, and groups. Ready built shopping cart solutions are essential in the modern e-commerce industry. First, it offers convenience and security. Your payment processes and transactions will be made simpler, more secure and smoother too. You can showcase your products and perform data management functions more effectively. Your business can further gain benefits from using these ultimate e-commerce solutions by gaining solid statistical and analytical reports about the transactions and the status of the online business. You can maximize SEO-friendly carts, make use of discounting options and coupons, and enjoy all the features that you would ever need to kick your business into overdrive. Certainly, Shopify is not the only e-commerce platform that brings all the benefits. There are other alternatives that you might as well want to check out. Before choosing which platform to use, identify your business needs first. Think about the exact setup and features that your new business needs. Once you’ve done your homework, it's easy for you to choose Shopify or other Shopify Alternatives as your e-commerce partner. Think about your business. Think about your audience. Once everything is figured out, you can map out your strategy then get down to building and marketing an online store that can take your business far and wide.